I am a experienced DWI attorney serving clients in Rockwall, Kaufman, Hunt, Collin & Dallas Counties. I am often asked is stopped for a DWI what to do. After the police flip on their lights or siren to stop you, do your best to safely pull over immediately. Do not try to find a safe parking lot or side street. The police may interpret it to mean that you were trying get away. It is their responsibility to make sure the pullover is safe for you and them. Keep it simple. Just pull over, come to a complete stop, roll down your window, and stop your engine. Make sure you have your seatbelt fastened. Don’t let your mouth get you in trouble. Speak to the police officer only when spoken to and answer questions in short, truthful statements. You do not have to speak directly into the officer’s face, or look the officer in the eyes. The less you say, the less opportunity the police will have to interpret the smell of your breath or speech. Give the police your driver’s license, registration, and insurance information as quickly as possible, saying nothing. Get out of the car as quickly as possible and stay near your car. Stand erect, and do not lean against your car for support or make any physical motions that would cause the police to believe that you may be impaired. Remember, the entire traffic stop is being video taped. Remain where the camera will follow your actions and don’t give the prosecution any video evidence they can use against you. If the police ask you to go through some steps for the field sobriety test, don’t argue with them on constitutional grounds. When you accepted your driver’s license, you gave them implied consent to administer tests. You may refuse to take the field sobriety test, but do so politely, and exercise your right to an attorney immediately. The police cannot physically force you to take the test. After you tell them you refuse, the police will be required to read your rights and warn you of the consequences. 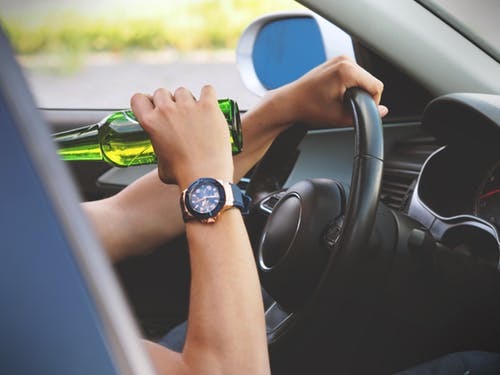 At the police station, you will be asked to submit to a breath test and a blood test to determine whether your blood alcohol content (BAC) was more than the legal limit .08% for adults or .0% for minors. Don’t be under the impression that cooperating with the police will help you get off easy. The prosecutor will use the test results against you. If you refuse to take the tests, invoke your right to an attorney immediately. The police must clearly inform you of the consequences and stop further processing until your lawyer is present. I am a experienced DWI attorney serving clients in Rockwall, Kaufman, Hunt, Collin & Dallas Counties. Stopped for a DWI what to do. Do the right things and you are a long way to a fair resolution. If you have questions, concerns or been charged with a DWI, call me today. There is no charge for the initial consultation.